Description: Great Blue Hole, Coast of Belize - a phenomenon of Karst topography. Credit: Source: , fetched September 2006. 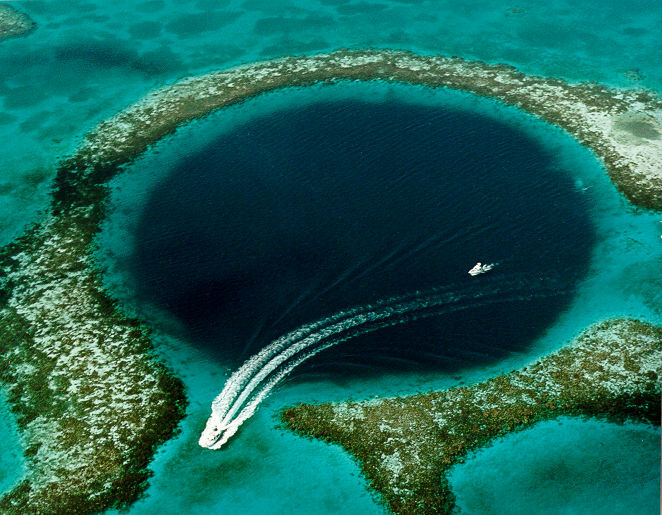 Caption on this USGS web page was, "Blue Hole: Aerial view of the 400-ft-deep oceanic blue hole (Lighthouse Reef Atoll Blue Hole) located east of Belize." This page was last modified on 19 April 2017, at 19:02.